Young inventor Tyler Washburn was always getting into trouble due to his numerous failed projects. Early one morning when testing his newest invention, the Automatic Locker Organizer v.2.0, Tyler could not help but be drawn into a closet with a strange blue glow where the touch of one star whisked him across the galaxy to join aliens at the STAR academy. 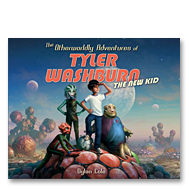 Tyler finds acceptance for his creativity, talents and different beat at The Society of TechnologicallyAdvanced Races where he joins students from all over the universe to promote intergalactic peace. Dylan Cole is a concept artist, matte painter, and production designer for the entertainment industry. Since graduating from UCLA in 2001, he has contributed art to over 50 films. Notable credits include Senior Matte Painter on Return of the King, Concept Art Director on Avatar, and Production Designer for Maleficent. 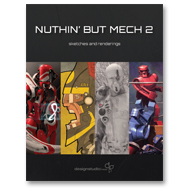 The Southern California native grew up drawing spaceships and alien worlds and this passion led to the creation of this book, his first. Dylan lives in Playa del Rey, CA with his wife, Bethany.